Why Build ABS? The Bollywood heartthrob Hrithik Roshan, by dint of his exemplary physique, has been the envy of millions. But it is not all about looking good and building rippling muscles – how often do you go out bare bodied in the public? The idea is to ensure fitness and to stay in shape. You would definitely want to have well toned muscles and six pack abs as they essentially reflect masculinity and moreover they do help in enhancing your bodily systems. 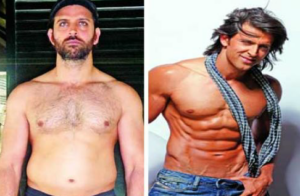 To build the same, you need to have discipline and dedication to burn the calories and … Continue reading How Hrithik Roshan Came Out from Belly Fat and Made Six Packs?